Epic brand video alert! 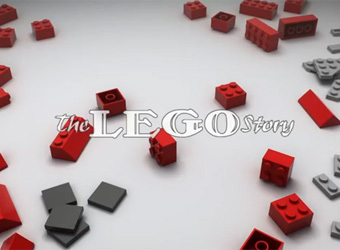 Lego has put the story of its origins into a 17-minute animated film of epic proportions. As the play block and iconic children’s brand celebrates its 80th birthday, it has revealed the fascinating story of its inception. Founded by struggling carpenter Ole Kirk Kristiansen who suddenly lost his wife to illness, the brand has grown to become the world’s third largest manufacturer of play material. From dark beginnings, the short film tells the story of how Ole started by making toys for his four sons before making a name for himself as a maker of fine toys. In 1934, the company was named Lego after the Danish phrase ‘leg godt’ which translates to ‘playing well’, which unbeknown to Ole meant ‘I put together’ in Latin, setting the brand’s future in building blocks in stone by pure chance. Watch the story of Lego’s journey through world wars, out of the ashes of a fire which burnt down its entire factory and drawings and out of wooden blocks into plastics. It’s 17 minutes of your life you’ll never get back, but we think a good investment of your time.